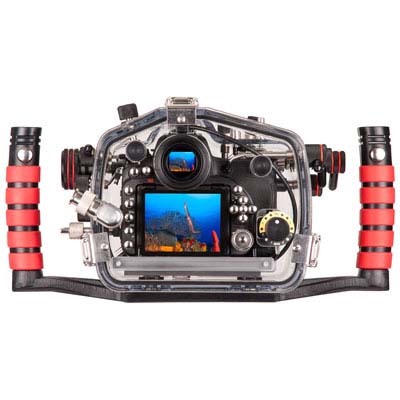 Ikelite has announced their underwater housing for the Canon EOS 7D Mark II camera. Like all Ikelite housings, the 7D MkII promises to provide a seemless blend of functionality, lighting integration, durability and waterproof integrity. Ikelite offers one of the best performance to dollar purchaes in the world. In addition, the housing uses Ikelite's built-in proprietary TTL circuitry so that you can fine- tune the automatic strobe power from the back of the housing. Ikelite proudly announces the latest addition to its DSLR Housing line, which is designed to offer one of the best performance to dollar purchases in the world. 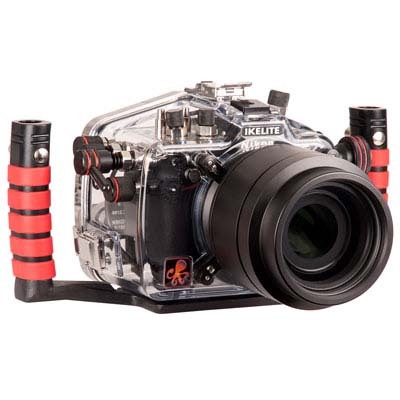 The Ikelite DSLR housing is a seamless blend of functionality, lighting integration, durability and waterproof integrity. TTL or "Through-The-Lens" flash metering means the camera controls flash duration to properly expose an image. Built-in proprietary circuitry tells the camera that a TTL external flash is attached, allowing the camera to adjust exposure more accurately than with slave TTL strobes. Fiber optic slave flash units require the camera's flash to fire every time. This creates a shutter lag as you wait for the camera's flash to recycle in between shots. It also drains the camera's battery life and builds up heat inside of the housing. Ikelite electronics translate direct electrical impulses from the camera, triggering an external strobe and precisely adjusting its power without the need to fire the camera's flash. This eliminates the slave TTL strobe issues of signal interference, inconsistent exposure due to weak fiber optic transmission and false triggering caused by light rays bouncing off the water's surface or your buddy's flash going off. An Ikelite exclusive: exposure adjustments directly through the back of the housing put the perfect shot within reach every time. Tweak your TTL exposure or take total manual control without taking your hand off of your housing. Two push buttons on the back of the housing act as a remote control for compatible Ikelite DS-series strobes. Access plus/minus exposure compensation in TTL mode, plus manual power settings in half-stop increments. Exposure settings are indicated by a series of LEDs which are easily visible even at night! TTL operation and exposure adjustment require the use of a current model Ikelite DS series strobe. Non-Ikelite strobes may be used in manual exposure modes only. An over-sized knob smoothly engages a unique system of universal zoom gears. Two zoom sets are provided with each housing, one for use with most popular larger diameter zoom lenses and a second designed for use with smaller diameter zoom lenses. Both sets are lightweight and easy to install with no modification to the lens required. 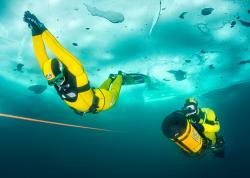 A variety of dome and flat ports attach with four locking latches for maximum security and quick changes between dives. 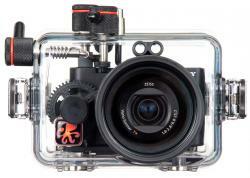 Special polycarbonate blends allow us to create an extremely strong yet clear and lightweight enclosure. There's no substitute for inspecting the actual o-ring seal once your housing is closed. 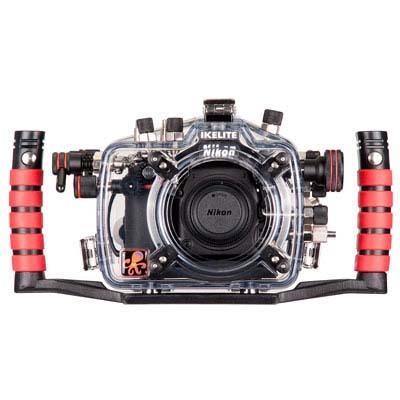 Ikelite signature clear construction lets you see that the housing is watertight and dry before you enter the water, and provides full view of the camera while you're diving. Polycarbonate is fundamentally corrosion-resistant for easy maintenance year after year. Like every Ikelite product, this housing is designed, built, and tested in the USA. Ikelite housings are built by hand and individually tested for fit, function and waterproof integrity. The average assembly technician is a certified scuba diver and has over 16 years of experience building Ikelite products. 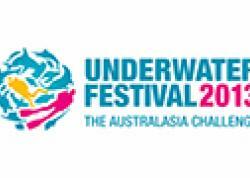 We back our products with over 50 years of experience and the most accessible and responsive customer service staff in the dive industry.